To the excitement and anticipation of fans across the universe, Black Lab Games has announced the development of Star Hammer Tactics for the PlayStation platform, and the game will be available soon as a download through the PlayStation PSP (mini-games) store. Star Hammer Tactics is a futuristic, fast-paced tactical battle game that anyone can learn to play in minutes. In the single-player campaign mode, players will assume the role of a naval strike group commander as they defend the planet Novus from the marauding alien menace known as the Nautilids. Alternately, challenge a friend to a duel to the death in the local multiplayer mode - customize your fleet, then compete for glory and bragging rights! 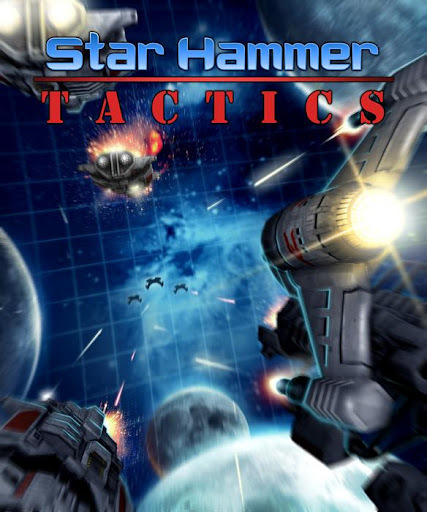 Featuring a rule set that is deliberately simple whilst still allowing for maximum strategic depth, Star Hammer Tactics is sure to engage and entertain gamers of all persuasions. Achieve victory by outwitting your opponents, and then blasting them to little pieces! Easy-to-learn rules; learn to play in minutes! Use missiles to devastate your enemy from afar, or engage in close quarters ship-to-ship combat!